Everybody dreams of winning the lottery one day because this is the universal symbol for a brand-new start in life. But considering the immense jackpots offered in the lottery these last few years, the popularity of the game has reached an entirely new level. In fact, it seems that even the biggest stars in Tinseltown play the lottery precisely because the million dollar prizes are impossible to refuse. While this is something that he reluctantly admits to, it seems that producer Simon Cowell has quite the passion for the lottery. 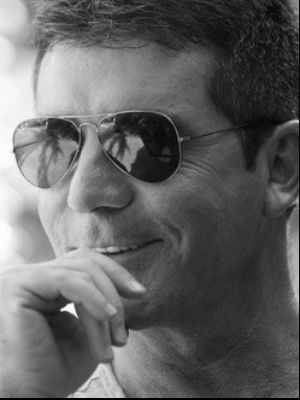 In spite of the millions of dollars he has made with TV shows like X Factor or American Idol, Mr. Cowell says that “I still buy lottery tickets. I still play”. He told the press that he always makes sure to tick the No Publicity box on his tickets because he wouldn’t want his lottery fortune to generate a media frenzy. It remains to be seen if Mr. Cowell will ever make the front page as the latest big lottery winner, but his involvement in the game perfectly points out the irresistible appeal of the record-breaking lotto jackpots. 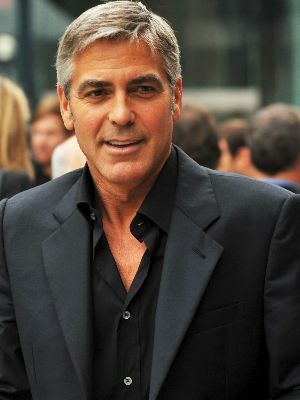 America’s sweetheart, George Clooney may not be a regular lottery player, but back in 2010 he had a wonderful initiative. When he heard about the huge £117 million jackpot in the SuperEnalotto lottery, he decided to buy a fair share of tickets all in the hopes of donating any winnings these may produce to the victims of the tragic earthquake in Haiti. While Mr. Clooney bough $1,500-worth of SuperEnalotto tickets, Lady Luck was not on his side that day. However, his generous gesture was a true inspiration for all lottery players out there. In fact, his friend, actress Elisabeth Hurley also purchased tickets in the 2010 SuperEnalotto with the aim of supporting Clooney’s idea, but unfortunately, she had no winning tickets either. Not only is Madonna a passionate lottery player, she is also a lottery winner. The Queen of Pop is heavily invested in the SuperEnalotto lottery because she regards playing as an excellent way to support the local community and remain connected to her Italian roots. She buys lottery tickets on a regular basis, but in 2012 she actually won an impressive €120,000, which at the time was the equivalent of $250,000. Madonna donated the entire amount to build schools for the less fortunate in Malawi, South Africa. Since then, she has continued to play the SuperEnalotto and we certainly hope she gets another win someday. Hugh Jackman’s passion for the lottery dates back to his pre-Wolverine days. 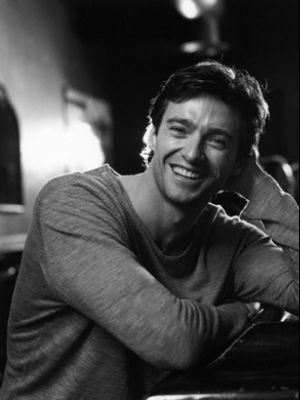 Together with his work colleagues, Mr. Jackman would buy tickets, all in the hopes of winning the lottery. While this was not how he got his big break, it seems that he appreciated the tradition as an excellent bonding ritual. As such, he went on to buy lottery tickets for his cast and crew colleagues because he wanted to keep this excellent tradition going. Mr. Jackman has yet to win the lottery, but his enthusiasm for the game remains spectacularly impressive. Back in 2008, hotel heiress Paris Hilton got extremely excited about the huge SuperEnalotto jackpot during a trip to Italy. As such, she decided to play and bough as many as 1,500 tickets. Her massive play led to quite the media scene, as pictures of her in her flip flops choosing lottery numbers surfaced in all the tabloids. When asked about it, she said that she planned to donate at least 10% of the prize she may win to charity. Whether or not she would have stayed true to her word, we will never know, as none of her 1,500 tickets turned out to be a winner. Not even Hollywood’s finest can stay indifferent to the staggering jackpots offered by the lottery. If you want to see just how lucky you are, platforms like theLotter.ca provide you with the opportunity to play the world’s biggest lotteries like Powerball, Mega Millions, or even the SuperEnalotto online. This way, you can compete with some of the biggest celebrities for a chance to become a millionaire. Christina is back in Toronto pursuing her dreams of writing. She loves exploring around Ontario and has found that Toronto is what captures her spirit.